Investors can make mistakes when placing a value on bonds. 1. If My Bond Is in Default Will I Still Get Par Value at Maturity? Bond valuation is a method that investors use to calculate the fair market value of a specific bond issue. This method involves determining the current value of the interest payments tied to the bond and the total value of the bond at its date of maturity, an amount known as the bond's face value. The bond valuation process enables investors to decide if the overall return from the bond merits the time and income needed to acquire that bond and hold it until the maturity date. The bond valuation process examines both the cash flow the bond generates from its interest payments and the face value that the bond can be sold at on its maturity date. The interest payments can come either from a fixed-rate bond or a variable-rate bond. The valuation process becomes more complicated for a variable-rate bond, as the interest payments are tied to the bond's interest rate at the time of payment. Most investors consider the worst-case interest payment when calculating a bond's value. One of the major mistakes that investors make in the valuation process comes in assessing the difficulty of selling the bond at maturity. 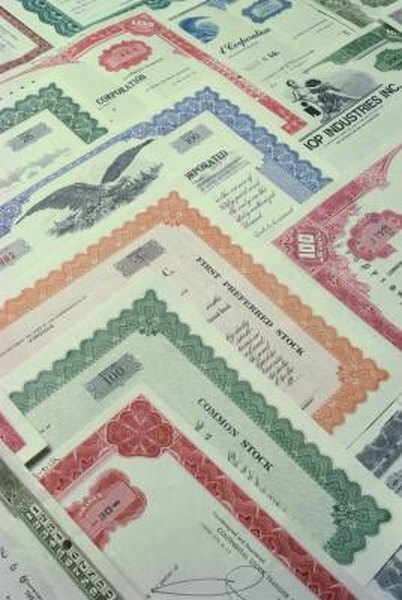 Unlike stocks, which are bought and sold in an open market on a daily basis, some bonds are highly difficult to sell. While long-term bonds can generate reliable income from their interest payments, buyers willing to purchase bonds during their term may not be available and the seller may be forced to hold the bond until he can find a suitable buyer. The investor should also evaluate the risk of default when determining a bond's valuation. While federal treasury bonds have an extremely low risk of default, some corporate bonds, including so-called "junk bonds," carry high risks along with their high return rates. If the bond issuer defaults on the bond, the bond holder will not gain any more interest income from that bond and will not be able to cash it in at maturity. If the bond issuer files for bankruptcy, the bond holders receive their compensation after the company's creditors, but before its stockholders. Bond holders typically do not receive the full value of the bonds upon a company's bankruptcy. Instead, they receive a fraction, known as a recovery ratio, of the bond's face value. A mistake that many investors make when conducting bond valuation is overestimating the recovery ratio. Experienced investors evaluate the demands a company's creditors will have before carrying out bond valuations and estimating their expected recovery ratio. Is the Bond Market Less Efficient Than the Stock Market?